Offers UK Next Day Delivery, Immediate Same Day By Road, Glasgow to Edinburgh Saver Service, UK Same Day By Air, International Courier Services, Secure Storage and Distribution. Offers Same day delivery / collections UK wide, Time critical Tender delivery / collections, Next day multi dropping etc. Pick up and drop off almost anywhere in the city. Services include last mile logistics, DX, post and intra-office and contract/ specialist distribution. Other office locations – Cambridge (01223 719 594), Norwich (01603 327 387) and Ldn Waltham Forest (0208 191 7606). Offers a bespoke delivery solution and specialise in Urgent, Fragile, High Value loads as well as Abnormal and difficult to handle and delicate loads. 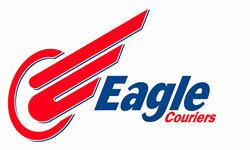 Glasgow Courier Services Include Same-day Delivery Service, 24 Hour Service, Countrywide & international deliveries etc. Office Hours : 24 Hours. Provide a daily courier services in Scotland to all major Scottish cities through all major Scottish Cities including Glasgow, Edinburgh, Ayrshire, Dundee, Perth, Aberdeen, Inverness, Dumfries, Fort William and The Borders. Couriers Glasgow, Pallet Delivery Glasgow, Next Day Delivery Glasgow, Parcel Delivery Glasgow, Same Day Courier Glasgow. Phone : 0141 883 3920 (Glasgow), 0131 300 0761 (Edinburgh), 0141 433 1333 (Emergency Out of Hours). Specialising in international document, parcel shipping and excess luggage etc. Hours : 7am until 6pm (Monday to Friday) and 8am – 5pm (Saturday). Providing same day urgent & next day delivery services for the Central Belt, Glasgow, Edinburgh & the rest of the UK for two decades. 20% cheaper parcel delivery – Door To Door Service, 50Kg Same Day, 8am – 7pm Standard delivery. Glasgow City cheap parcel delivery price – From £5.75 exc VAT (up to 50Kgs included in the price). Visit website for more courier delivery price. Offer SameDay Courier, International Courier and UK overnight services. 20 St Luke’s Place, Glasgow G5 0TS, United Kingdom.